Next month is July—the month of our Independence Day, the month when Game of Thrones season 7 premieres, and of course, the hottest month of the year in Fort Collins, Loveland, and Northern Colorado. It’s already getting hot around here, with temperatures soon to crack the low 90s—which means July is bound to be a real scorcher. Imagine yourself in the comfort of your home, beating the heat of July in your crispy, HVAC-cooled home. Now imagine yourself the moment your HVAC system goes kaput. As the hum of your HVAC unit turns to silence, panic and fear sets in, and your mind runs wild. Why am I already sweating? You think to yourself as your run a cold towel over your face. Is this how TE Lawrence almost died? Could I feasibly fit myself inside the refrigerator if I took all the food and the shelves out? Don’t worry—there’s no need to panic when your HVAC is having problems. Just call the Fort Collins AC service experts, and they’ll stop by to fix your home-turned-pressure-cooker. Until then, do these things. Not because of your creepy neighbors—because it will keep your home cool. Lowering your blinds in your home will reduce the likelihood of your home developing “the greenhouse effect” which raises the internal temperature of your home through direct sunlight that enters via windows. The more sunlight that enters your home and makes contact with your floors, walls, and furniture, the hotter your home will get. Lower those blinds, and regulate the internal temperature in your home. Don’t open doors or windows. You don’t want the rest of your cool, HVAC air to escape your home, do you? Letting your cool air out will, in turn, let hot air in—so contain that cool air for as long as you can until the Ace Hi team shows up. Change up your ceiling fans. If you haven’t already (or you didn’t know you could), then it’s time to change the direction of your ceiling fans to push cool air where you need it most. You’ll want your ceiling fans in the counterclockwise position—this will push cool air downward and hot air upward, keeping you cool from head to toe. Not sure how to change the direction of your ceiling fans? All you have to do is flip the switch at the base of your ceiling fan. We didn’t notice it before, either. Maybe that FoCo heat is broiling you faster than you expected, or maybe the Ace Hi team needs to help out a broiling old lady in Old Town before they make it to your home. Whatever the case, it’s going to be a little while before the HVAC squad shows up. In times like these, it’s important to have a playbook of ways to stay cool. While there’s not much left to do to lower the temperature of your home, there are plenty of ways to lower the temperature of your body. Ladies and gentlemen, it’s time to learn how to chill. We’d recommend ice water, but we do live in the craft beer capital of America. Beware—alcohol consumption really does lower your internal body temperature, but it simultaneously (and temporarily) makes your skin feel warmer. This sensation will eventually pass, but it’s something to keep in mind if you’re looking for an instant cure for your hotness. Having a beer is one thing, but having a few beers will lead to dehydration—so keep your consumption in check to avoid adding insult to injury. 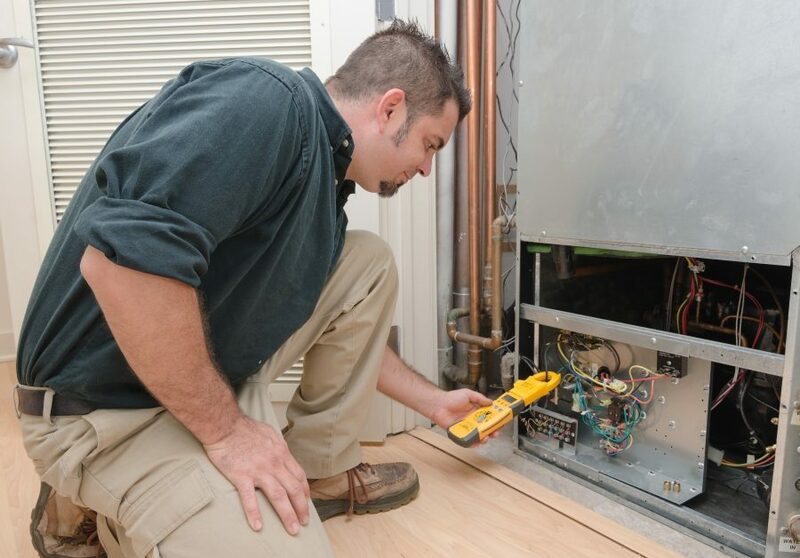 Hopefully, this is not where we find you when we show up to fix your HVAC system. But if so, we get it—dunking yourself in a bath full of ice water will cool you off faster than an enchilada in an igloo. However, you’ll need to be careful—if you’re feeling feverish and immediately dump yourself in an ice bath, your body will be in for a shock. Gradually cooling yourself off before you head for the ice bath is perhaps the safest and most effective way to chill out. Apply cold cloths to your neck and wrists. How does cooling off your wrists and neck help when your whole body is burning up? The answer lies in pulse points, or areas where your blood vessels are close to the skin’s surface. By cooling off these areas, you can cool off your blood and lower your body’s internal temperature fairly quickly. While this won’t make you feel as cool as a cucumber, the effects of pulse-point cooling are fairly immediate, giving you a quick fix while that ice bath fills up. Or anywhere with working AC. With so many things to do in Fort Collins, you shouldn’t have any trouble finding a cool location to wait it out until Ace Hi shows up at your home. Perhaps you can find a cool Fort Collins location that also sells cool beverages? Good luck with that. Throw your bed sheets in the freezer. Turn on the fans and open the windows. Sleep away from your significant other (banish yourself to the couch). Keep ice water near your bed. These are just a few of many ways to keep yourself cool until regular business hours the next morning. Staying cool is an art and a science—find methods of your own and put them to good use! 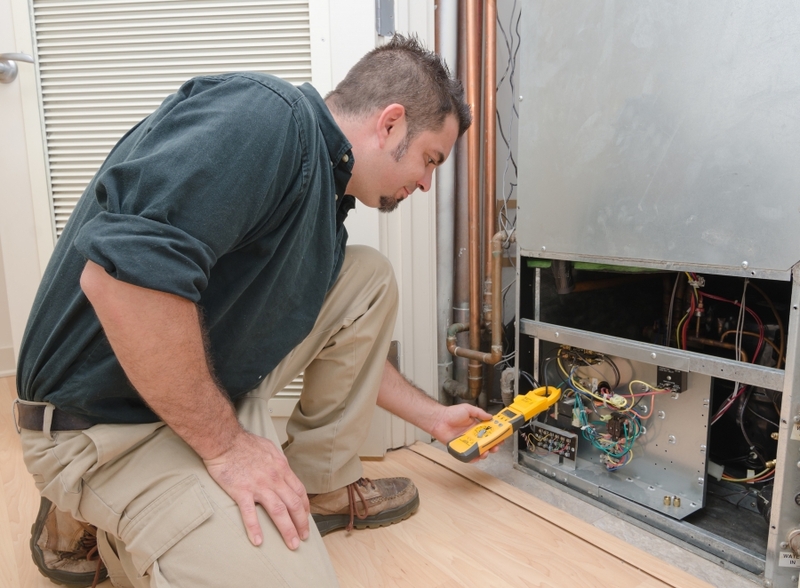 Ace Hi is your source for HVAC service in Fort Collins, Loveland, and the surrounding areas. Let us help you stay cool, no matter what time of day it is—or even better, schedule routine HVAC maintenance so you don’t have an HVAC emergency in the first place!